Reading scores had been low for a while, but for most of the five years that Silva had been chief academic officer, he and other school leaders had been consumed with a severe budget crisis. By 2015, the district had turned the corner financially, and Silva was wondering why the reading scores were so terrible. "It was really looking yourself in the mirror and saying, 'Which four in 10 students don't deserve to learn to read?'" he said. The stakes were high. Research shows that children who don't learn to read by the end of third grade are likely to remain poor readers for the rest of their lives, and they're likely to fall behind in other academic areas, too. People who struggle with reading are more likely to drop out of high school, to end up in the criminal justice system, and to live in poverty. But as a nation, we've come to accept a high percentage of kids not reading well. More than 60 percent of American fourth-graders are not proficient readers, according to the National Assessment of Educational Progress, and it's been that way since testing began in the 1990s. SOURCE: The National Assessment of Educational Progress (Grade 4 | Grade 8). *In 1992 and 1994, testing accommodations were not permitted. One of the excuses educators have long offered to explain America's poor reading performance is poverty. There is plenty of poverty in Bethlehem, a small city in eastern Pennsylvania that was once a booming steel town. But there are fancy homes here, too, and when Silva examined the reading scores he saw that many kids at the wealthier schools weren't reading very well either. This was not just poverty. In fact, by some estimates, one-third of America's struggling readers are from college-educated families. Silva didn't know anything about how children learn to read or how they should be taught, so he started searching online. As he soon discovered, virtually all kids can learn to read — if they are taught the right way. The problem is that many American elementary schools aren't doing that. "We never looked at brain research. We had never, ever looked at it. Never." The basic assumption that underlies typical reading instruction in many schools is that learning to read is a natural process, much like learning to talk. But decades of scientific research has revealed that reading doesn't come naturally. The human brain isn't wired to read. Kids must be explicitly taught how to connect sounds with letters — phonics. 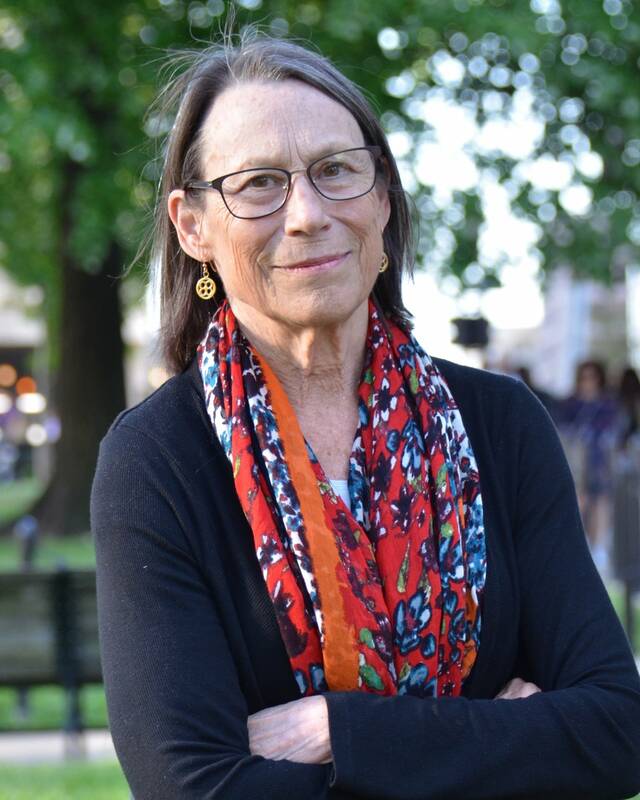 "There are thousands of studies," said Louisa Moats, an education consultant and researcher who has been teaching and studying reading since the 1970s. "This is the most studied aspect of human learning." But this research hasn't made its way into many elementary school classrooms. The prevailing approaches to reading instruction in American schools are inconsistent with basic things scientists have discovered about how children learn to read. Many educators don't know the science, and in some cases actively resist it. The resistance is the result of beliefs about reading that have been deeply held in the educational establishment for decades, even though those beliefs have been proven wrong by scientists over and over again. Most teachers nationwide are not being taught reading science in their teacher preparation programs because many deans and faculty in colleges of education either don't know the science or dismiss it. As a result of their intransigence, millions of kids have been set up to fail. Even though Silva had known little about how children learn to read or how reading should be taught, he'd long been aware that some older students were struggling too. He'd been a middle school and high school teacher for years, and he had students who came across words they'd never seen before and had no idea how to sound them out. Kim Harper, the district's supervisor of literacy, noticed the same thing. She'd been a high school English teacher in Bethlehem and said that a disturbing number of her students, even students in honors classes, weren't very good readers. "They didn't like to read," she said. "They avoided reading. They would tell me it was too hard." She didn't know what to do about it either, so she more or less shrugged it off. "I think it became easy to say, 'Well that's just the way it is. You know, we're always going to have X percent of kids who it's just going to be a struggle for,'" she said. Even the school board president, Mike Faccinetto, said it was pretty much accepted that a lot of kids in the district would never be very good readers. "It was always, 'Well, that's not a reflection of Bethlehem,'" he said, referring to the reading scores. The kids who weren't doing well, "'Ah, well, you know those kids, their parents aren't around, or maybe they don't have two parents. And that's the best they're going to do.'" Silva wanted to figure out what was going on. So in 2015, he assigned Harper to visit all of Bethlehem's elementary schools and find out how children were being taught to read. Harper went to a professional development day at one of the district's lowest-performing elementary schools. The teachers were talking about how kids should attack words in a story. When a child came to a word he didn't know, the teacher would tell him to look at the picture and guess. The most important thing was for the child to understand the meaning of the story, not the exact words on the page. So, if a kid came to the word "horse" and said "house," the teacher would say it's wrong. But, Harper said, "if the kid said 'pony,' it'd be right because pony and horse mean the same thing." Harper was shocked. First of all, pony and horse don't mean the same thing. Second, the idea that you look at pictures and guess when you don't know a word seemed odd to her. "I wouldn't have been able to use that strategy at the secondary level," she said. There were no pictures in the books her high school students read. The teachers described their approach to reading instruction as "balanced literacy." Harper didn't quite know what that meant, but her colleague Jodi Frankelli had heard lots about balanced literacy. 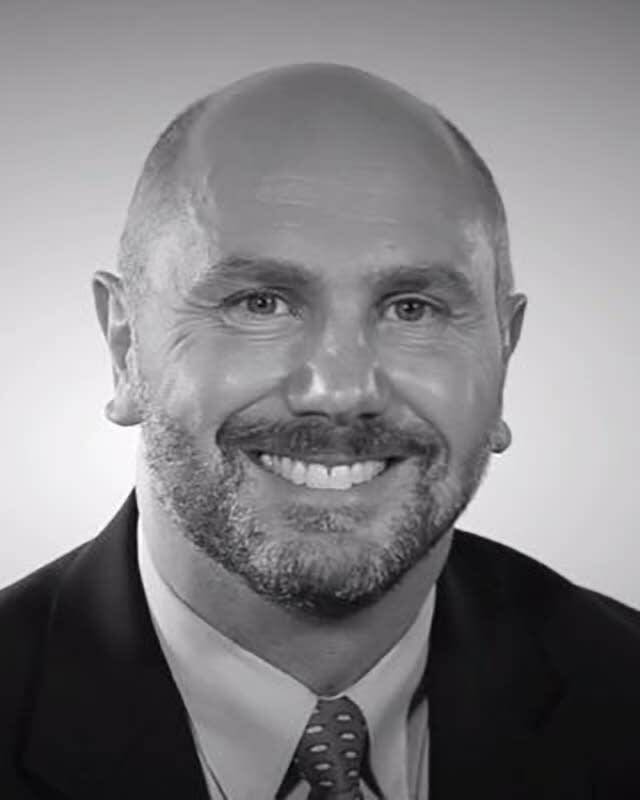 Frankelli was the district's new supervisor of early learning. Though her teaching experience and training were in the upper grades, too, she'd been a principal at one of Bethlehem's elementary schools. She said it hadn't been completely clear to her what balanced literacy was. The main idea seemed to be: Give kids lots of good books, and with some guidance and enough practice, they become readers. "We never looked at brain research," she said. "We had never, ever looked at it. Never." "Balanced literacy was a way to defuse the wars over reading. It succeeded in keeping the science at bay and it allowed things to continue as before." We are born wired to talk. Kids learn to talk by being talked to, by being surrounded with spoken language. That's all it takes. No one has to teach them to talk. But, as numerous studies have shown, reading is different. Our brains don't know how to do it. That's because human beings didn't invent written language until relatively recently in human history, just a few thousand years ago. To be able to read, structures in our brain that were designed for things such as object recognition have to get rewired a bit. Children don't crack the code naturally. They need to be taught how letters represent speech sounds. But by the time scientists had done all the studies to conclude this for sure, a different set of beliefs about reading was already deeply entrenched in many American schools and colleges of education. Debates about reading go back centuries. In the 1800s, Horace Mann, the father of the public-school movement in the United States, railed against the idea of teaching children that letters represent sounds. He referred to letters of the alphabet as "bloodless, ghastly apparitions" and argued that children would be distracted from comprehending the meaning of what they were reading if they focused too much on letters. He believed children should be taught to read whole words. No one really knew how children actually learned to read, or how they should be taught. "It was more debates among people who had philosophies," Moats said. By the 1980s, the debate was so intense that people began referring to it as "the reading war." It was phonics versus what had come to be known as "whole language." By the early 1990s, the idea that kids didn't need phonics had taken hold in many schools and teacher preparation programs, and was even a guiding principle behind reading instruction across the entire state of California. But the phonics folks kept pushing back. After the National Reading Panel report, whole language proponents could no longer deny the importance of phonics. But they didn't give up their core belief that learning to read is a natural process, and they didn't give up the reading programs they were selling, either. Instead they advocated for doing both, a balance. So, whole language didn't disappear; it just got repackaged as balanced literacy. And in balanced literacy, phonics is treated a bit like salt on a meal: a little here and there, but not too much, because it could be bad for you. "Balanced literacy was a way to defuse the wars over reading," said Mark Seidenberg, a cognitive neuroscientist and author of the book "Language at the Speed of Sight." "It succeeded in keeping the science at bay, and it allowed things to continue as before." Seidenberg knows of a child who was struggling so much with reading that her mother paid for a private tutor. "The tutor taught her some of the basic skills that the child wasn't getting in her whole language classroom," he said. "At the end of the school year the teacher was proud that the child had made so much progress, and the parent said, 'Well, why didn't you teach phonics and other basic skills related to print in class?' And the teacher said 'Oh, I did. Your child was absent that day.'" 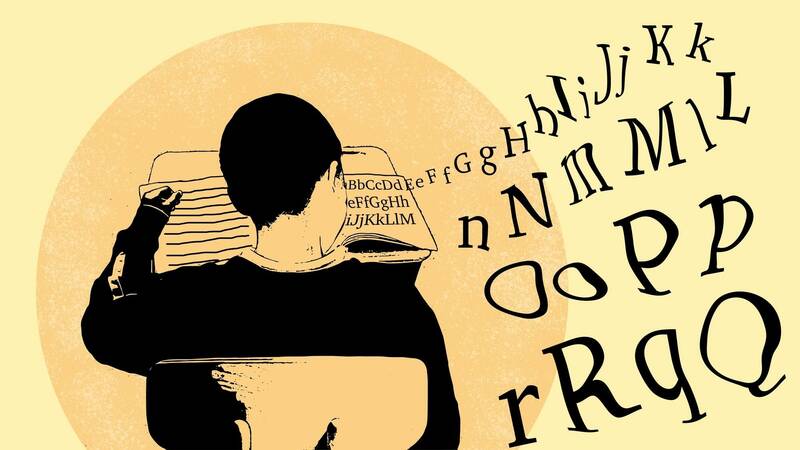 For scientists like Seidenberg, the problem with teaching just a little bit of phonics is that according to all the research, phonics is crucial when it comes to learning how to read. Surrounding kids with good books is a great idea, but it's not the same as teaching children to read. Experts say that in a whole-language classroom, some kids will learn to read despite the lack of effective instruction. But without explicit and systematic phonics instruction, many children won't ever learn to read very well. By the end of 2015, Silva and other district leaders in Bethlehem had figured out that balanced literacy didn't line up with the science. Now they had to figure out what to do about it. They decided the first step would be a series of training sessions over the course of a school year for all the principals at the district's 16 elementary schools. The district leaders reasoned that the principals needed to be convinced of the science if they were going to convince their teachers to change the way they taught reading. If there was one principal who was sure to resist, it was Kathy Bast, the principal of Calypso Elementary School. She was known as the district's No. 1 balanced literacy champion. "Decoding was never part of anything I ever did," Bast said. She happened to be out on medical leave when the training began, but her colleagues warned her she wouldn't like it. "They said to me, 'Kathy, we know you. You're not going to take well to this training.'" But Bast had a secret. 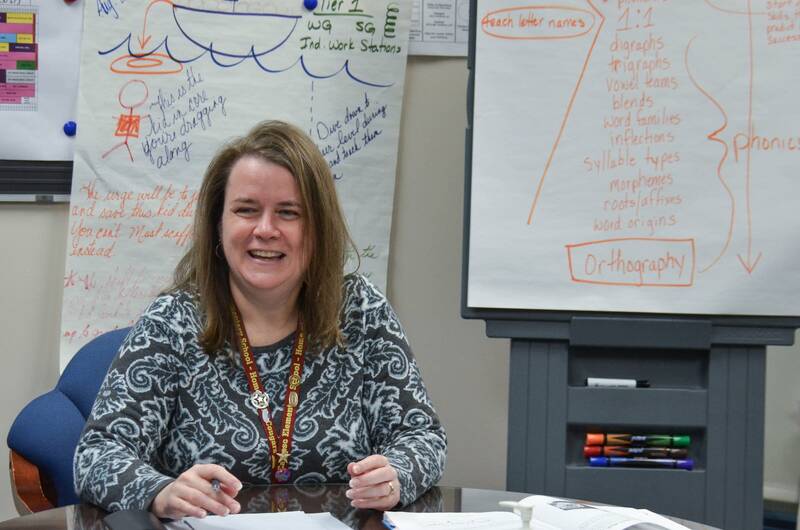 Before becoming a principal, she'd been a reading specialist. It was her job to help struggling readers. In her training to become a reading specialist, she learned a lot about how to identify children with reading problems, but she learned nothing about how to help those children learn to read. "I didn't know what to do, except just give them more books," she said. "And it wasn't working." With time on her hands while she was on medical leave, Bast began poking around online and discovered the vast scientific literature on reading. It wasn't being published in a lot of the journals and newsletters she got as a school principal, but as her boss, Silva, had discovered, all it takes is a Google search to find it. When Bast returned to work from medical leave and joined her fellow principals in the training on reading science, she was ready to hear what the trainer had to say. And it kind of blew her mind. "Wow!" she thought. "OK, let's go get at this." The training used a curriculum written by Moats called "Language Essentials for Teachers of Reading and Spelling" or LETRS. The principals went through the training in the 2015-16 school year, the kindergarten teachers went through it the next year, and then first- and second-grade teachers did it, too. For many teachers, the science of reading training was overwhelming at first. "I remember sitting there and my head was throbbing 'cause it was like, 'How can I take all this in?'" said Adrienne Ibarra, a reading specialist at Bethlehem's Lincoln Elementary School. She hadn't learned much about phonics when she was in college studying to be a teacher. Neither had Michelle Bosak, an English as a second language teacher at Lincoln. "It was very broad classes, vague classes and like a children's literature class," Bosak said. "But not actually teaching phonics." Candy Maldonado, a first-grade teacher at Lincoln, described the district's old approach to reading instruction this way: "We did like a letter a week. So, if the letter was 'A,' we read books about 'A,' we ate things with 'A,' we found things with 'A,'" she said. "All we did was learn 'A' said 'ah.' And then there's apples, and we tasted apples." The teachers had no idea how kids actually learned to read. "It was just that they do," Ibarra said. "Almost like it's automatic," Maldonado added. After learning about the reading science, these teachers were full of regret. "I feel horrible guilt," said Ibarra, who's been a teacher for 15 years. "I thought, 'All these years, all these students,'" said Bosak, who's been teaching for 26 years. To help assuage that guilt, the Bethlehem school district has adopted a motto: "When we know better, we do better." And soon, they were doing much better. 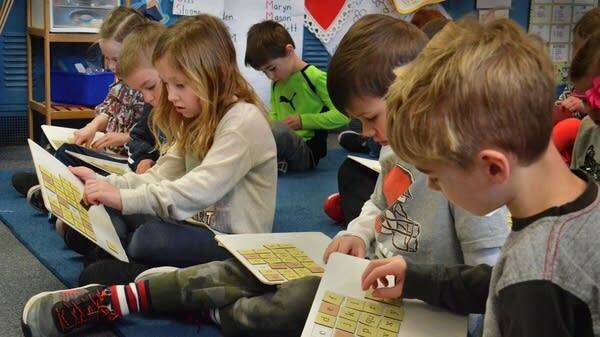 The Bethlehem schools now use a curriculum in the early elementary grades that mixes teacher-directed whole-class phonics lessons with small-group activities to meet the needs of children at different points in the process of learning to read. At first, some of the teachers recoiled a bit at the scripted nature of the lessons; the curriculum is explicit and systematic, with every teacher on the same page each day. If the curriculum says today's the day for kindergarteners to learn words that begin with the sounds "wuh" and "guh," you can walk into any kindergarten classroom in the district and see the teacher doing that lesson. Lynn Venable, a kindergarten teacher at Calypso who has been teaching elementary school for 21 years, said she used to think reading would just kind of "fall together" for kids if they were exposed to enough print. Now, because of the science of reading training, she knows better. She said her current class of kindergartners had progressed more quickly in reading than any class she'd ever had. "My kids are successful, and happy, and believe in themselves," she said. "I don't have a single child in my room that has that look on their face like, 'I can't do this.'" SOURCE: Bethlehem Area School District. *Low-income is defined as the percentage of students who qualify for free or reduced-price lunch, 2017-18. Silva is thrilled with the results, but cautious. He's eager to see how the kindergartners do when they get to the state reading test in third grade. "We may have hit a home run in the first inning," he said. "But there's a lot of game left here." It's impossible to know if the science of reading training is what led to the test score gains. Some of the schools in the district moved from half-day to full-day kindergarten the same year the training began, so that could have been a factor. But Bast, the principal at Calypso, thinks if her teachers had continued with the old approach to reading instruction, she'd still have a lot of struggling readers in her school. "We're actually teaching," she said. "We're doing our jobs." You can find schools and school districts across the United States that are trying to change reading instruction the way Bethlehem has, but according to Moats, ill-informed, ineffective reading instruction is the norm. "The gap between science-based ideas and practices and those most often used in our classrooms remains very wide and persistent," she wrote in a recent article. Seidenberg says the scientific research has had relatively little impact on what happens in classrooms because the science isn't very highly valued in schools of education. "Prospective teachers aren't exposed to it or they're led to believe that it's only one of several perspectives," he said. "In a class on reading, prospective teachers will be exposed to a menu in which they have 10 or 12 different approaches to reading, and they're encouraged to pick the one that will fit their personal teaching style best." Education as a practice has placed a much higher value on observation and hands-on experience than on scientific evidence, Seidenberg said. "We have to change the culture of education from one based on beliefs to one based on facts." So they did a study of the teacher preparation programs at the state's eight publicly funded universities. The institute reviewed syllabi and textbooks, surveyed the students in the classes, observed some of the classes, and interviewed the deans and faculty. The study found that teacher candidates in Mississippi were getting an average of 20 minutes of instruction in phonics over their entire two-year teacher preparation program. Kelly Butler was alarmed. She and her colleagues went to state education officials and pleaded with them to take action. In 2003, in a rather extraordinary move, the state Department of Education mandated that every teacher preparation program in Mississippi require two courses in early literacy to cover what was in the National Reading Panel report. It was extraordinary because even though states have the authority to regulate teacher preparation programs, only a handful of states have specific requirements about what prospective teachers learn about reading. Colleges and universities generally don't like state officials telling them what to do. "Professors pretty much have academic freedom to construct learning in the way they think best," Butler said. "I think we all agree that this is right. And maybe we're here because of that. And the whole language ones are not here because I think they would really resist, a lot." Angela Rutherford, who works with Butler and is a professor in the school of education at the University of Mississippi, put it more bluntly. "Faculty members close the door and do whatever the heck they want to," she said. Rutherford wasn't sure the state mandate would make a big difference because many of her colleagues in teacher preparation didn't know the science themselves or didn't believe in it. She said many of them have long believed in whole language. "I had a colleague challenge me back in the fall," she said. "And her question was, 'What do you believe?' I said, 'I believe what I see in research.'" Butler says the resistance to the science among college faculty and administrators baffles her, but it runs deep. Once, when she was talking to an education school dean about the reading science, the dean said to her, "Is this your science or my science?" It was not clear how much impact the state mandate to teach reading science was having. Then in 2015, the Mississippi legislature passed a law called the "Literacy-Based Promotion Act." The law says that kids who aren't reading on grade level by the end of third grade cannot be promoted to fourth grade. The legislature appropriated millions of dollars to pay for training in the science of reading for all of the state's elementary school teachers. However, if new teachers coming out of teacher prep programs didn't know reading science, the state would be spending money perpetually retraining teachers. At this point, no one really knew what prospective teachers were learning in those early literacy classes required by the state. So in 2015, Butler and her colleagues decided to repeat the study they'd done in 2003. This time they looked at private colleges in Mississippi, too. They examined the early literacy courses at 15 teacher prep programs. They found, with one exception, that all the state's teacher prep programs appeared to be teaching the components of reading identified by the National Reading Panel report. But when Butler interviewed deans and faculty, most of them admitted they'd never actually read the report. And when she asked them basic questions about the science of reading, most of them didn't know the answers. The schools of education were complying with the letter of the law, but many faculty members didn't really understand the science themselves. A Mississippi governor's task force decided the professors would benefit from the same training that the state's elementary school teachers were getting. The teacher training used LETRS, the curriculum the teachers in Bethlehem went through. No one was going to require college instructors to do the training, but state legislators had passed a measure to encourage it. Since 2016, teacher candidates in Mississippi have been required to pass a test on reading science. If you don't pass what's known as the Foundations of Reading test, you don't get licensed to teach elementary school in Mississippi. It's now in the best interest of faculty to teach the science, because if they don't, their students won't get jobs. In a session of LETRS training for faculty in Jackson, Mississippi, in March 2018, the trainer, Antonio Fierro, passed out a quiz. The first question was: "True or false? Speaking is natural, reading and writing are not." The answer is "true," but the question was being asked because it's not a given that the 37 people in this training, a mix of mostly tenured faculty and adjuncts, would know that. Roshunda Harris-Allen, a professor in the teacher preparation program at Tougaloo College, said she wasn't taught reading science in college or as part of her doctorate. And she didn't learn phonics as a kid. "We were just taught — here are your sight words, you need to memorize them," she said. She said that she struggled with reading when she was a child. Trashonda Dixon, a literacy instructor at Tougaloo, says she did get phonics instruction when she was young, but she never learned how to teach phonics. "I think we did have issues with a lack of knowledge initially," Dixon said, referring to herself and her fellow faculty members in LETRS training. "But I think we're making great strides here to correct that." "I feel blessed to be part of this change," said Barbara Bowen, an instructor at the University of Southern Mississippi who went through the training. "I think we all agree that this is right. And maybe we're here because of that. And the whole language ones are not here because I think they would really resist, a lot." The faculty who most resist reading science weren't in the LETRS training. Two professors at the University of Southern Mississippi agreed to be interviewed about why they didn't want to attend. She ditched the phonics workbooks and the decodable readers. "And once I started teaching in a more whole way, a more encompassing way of the whole child — What does this child need? What does that child need? Let's read more real books," she explained, "my teaching improved, the students learned more. I feel they came out the other side much better." She admitted she had no evidence her students were learning more, but she said they seemed more engaged. One of the central tenets of whole language is that teachers are best able to judge whether their students are learning, not standardized tests. Another key idea is that all children learn to read differently and need to be taught in different ways. But research has shown that's not true. Our brains are much more similar than they are different, and all children need to learn basically the same things to change their nonreading brains into reading brains. "Cultural, economic, and educational circumstances obviously affect children's progress," Seidenberg wrote in his book. "But what they need to learn does not change." One of the most consistent findings in all of education research is that children become better readers when they get explicit and systematic phonics instruction. The students who suffer most when schools don't give their students insight into the code are kids with dyslexia. They have an especially hard time understanding the relationship between sounds and letters. Mary Ariail, former chair of the Department of Curriculum, Instruction and Special Education at the University of Southern Mississippi, remains opposed to explicit phonics instruction. She thinks it can be helpful to do some phonics with kids as they're reading books, maybe prompt a child to sound something out or to notice a letter pattern in a word. But she believes kids will be distracted from understanding the meaning of what they're reading if teachers focus too much on how words are made up of letters. "One of the ideas behind whole language is that when [reading] is meaningful, it's easy," she said. "And when it's broken down into little parts, it makes it harder." "I believe children learn to read as soon as they start learning to hear," Reeves said. "Being surrounded by books, being read to often." "It's like learning to talk," Ariail said. "A lot of children come to school already reading because they have been immersed in print-rich environments from the time they were born." It's not clear how much they had read about reading science, but they said they do not agree with it. "One of the bones of contention is that the phonics-based approach is the scientific approach," Ariail said. "It's their science." 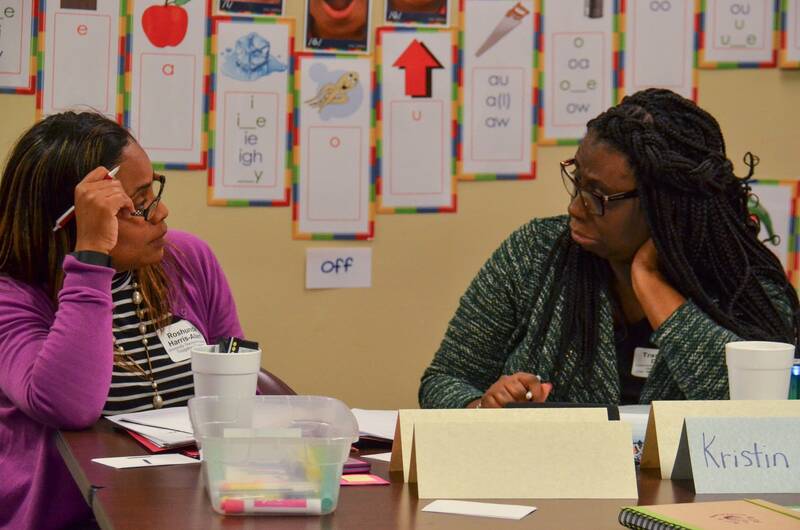 Ariail left her job and returned to her home state of Georgia at the end of the 2018 academic year, in part because of her frustration with the effort to change reading instruction in Mississippi. She sees it as an example of lawmakers telling educators what to do, and she doesn't like it. When you talk to whole language proponents, it's clear pretty quickly that the distrust of phonics instruction is motivated by a fear that reading will be reduced to rote and boring phonics drills. One of the reasons whole language flourished in the 1970s and '80s is that it rejected the idea that children should sit quietly in rows listening to a teacher direct a lesson. "In whole language, the battle was seen as, 'Are you in favor of literacy or are you in favor of skills?'" Seidenberg said. But, according to the research, kids who can't decode will never be good readers. Some children learn decoding quickly with minimal instruction. Others need a lot more help. But good phonics instruction is beneficial for all kids, even those who learn to decode easily; research shows they become better spellers. The belief that learning to read is a natural process that occurs when children are surrounded by books is a problem not just because there's no science to back it up. It's a problem because it assumes the primary responsibility for teaching children to read lies with families, not schools. If you're not fortunate enough to grow up in a household where there are lots of books and adults who read to you, you may be out of luck. "It's so accepted in the scientific world that if you just write another paper about these fundamental facts and submit it to a journal they won't accept it because it's considered settled science," Moats said. According to all the research, what you should see in every school is a heavy emphasis on explicit phonics instruction in the early grades. There is no evidence this turns kids off to reading or makes reading harder. In fact, it's the opposite. If you do a good job teaching phonics in the early grades, kids get off to a quicker start. "And they accelerate their progress faster and read more and like it better and so it becomes a self-reinforcing cycle," Moats said. "Whereas the converse is true. When you don't give kids insight into the code and don't arm them with insight into language, both spoken and written, what happens is, 'This is a mystery. I'm not sure I'm getting what these words really say. Therefore, I'm uncomfortable. And therefore, I don't really like it.'" The students who suffer most when schools don't give their students insight into the code are kids with dyslexia. They have an especially hard time understanding the relationship between sounds and letters. If you're a child with dyslexia from an upper-income family, someone is probably going to notice that you're struggling and pay for you to get the help you need. But kids from poor families often get left behind, and there's evidence that a disproportionate number of them eventually end up in the criminal justice system. American prisons are full of people who grew up in poor families, and according to a study of the Texas prison population, nearly half of all inmates have dyslexia. They struggled to read as kids and probably never got the help they needed. For Butler, the main problem at this point is ignorance. Too many teachers, school administrators and college professors don't know the science. She's betting that teaching them the science is the answer. "Part of my optimism about this is it's not like we're setting out to try to figure out how to teach reading so we can then teach everybody how to do it," she said. "We know how to do it." Seidenberg is less optimistic. He makes a comparison to climate change research. "One thing that we've learned from climate change and the other issues over which we have polarization in this country is that facts aren't the thing that change people's beliefs," he said. "In fact, confronted with data that contradict deeply held beliefs, instead of bringing people closer together, it can have the paradoxical effects of entrenching them further." READ NEXT What to do if your child's school isn't teaching reading right?